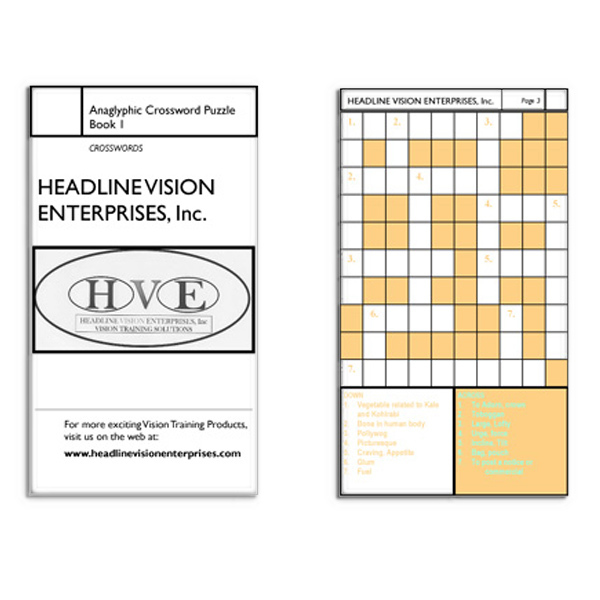 This booklet contains 13 crossword puzzles which cancel with R/G glasses. Both the puzzle grid and the word clues alternate between right and left eyes so you can get some good BIOCULAR training here! Plus, you could invent other activities, such as, scanning, saccadics, or filling in "bubble" letters. The answers are provided in the back of the books, along with supplemental activity ideas. The book folds out easily to be slid into standard nonglare page protectors, so they can be used over and over again!